Kohler Workers Cash in Chips on Strike; Health Care Improvements Made But Two-Tier Remains | Godwin, Morris, Laurenzi & Bloomfield, P.C. By Godwin, Morris, Laurenzi & Bloomfield, P.C. of Godwin, Morris, Laurenzi & Bloomfield, P.C. on Monday, December 21, 2015. More than 2,000 Kohler Co. union employees are heading back to work after voting Wednesday night to accept a new four-year labor contract, bringing an end to a 4 ½-week-old strike at Sheboygan County's largest employer. The labor deal includes compromises by both sides on health care costs and a two-tier wage system that the union had hoped to eliminate. "The movement the company did with the union showed that they believe in the workers," said UAW Local 833 President Tim Tayloe. "It's finding that common ground and a livable wage where people can work and be happy and be able to afford health care, put food on the table and not live paycheck to paycheck." While the two-tier system remains in place, which the company insisted on, the agreement closes the pay gap between the two groups, Tayloe said, and pays a livable wage to workers at the bottom. 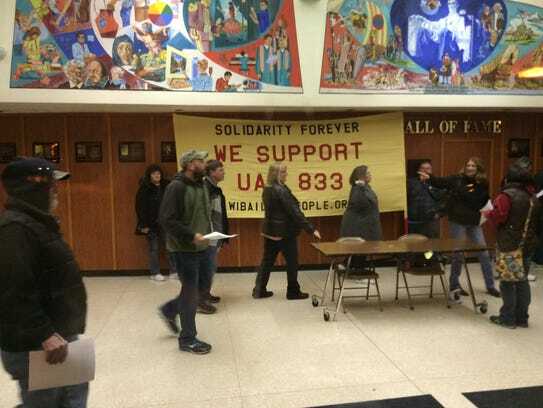 Under the agreement, so-called Tier B workers, who currently earn significantly less than their Tier A counterparts, will see an average hourly wage increase of $4.70 by the end of the contract, union officials said. That will bring the lowest wage for those workers to about $15 an hour in four years, versus about $11 now. Tier A workers, meanwhile will see a $2 hourly increase on average during that same span. In the company's previous offer, which the union rejected, Tier A workers would have received annual wage increases of 50 cents per hour, while Tier B positions would have seen an average increase of more than 20 percent immediately with 40 cent-per-hour increases in the second and third year. The company also agreed to lower health insurance premiums for some workers, while others will only see a minimal increase, Tayloe said. The company had previously offered bonuses to offset an increase in health care premiums. Kohler Co. officials said in a news release following the vote that the new pact would ensure its Sheboygan County locations can remain competitive. "We are pleased that our associates have ratified a contract that provides them with increased pay, enhanced benefits and a fair compensation package," said company President and CEO David Kohler. "Kohler Co. maintains a competitive wage structure that is essential for our Wisconsin facility to grow jobs going forward. Most important, we welcome our associates back to work, where together, we will continue to work hard to exceed our customers' expectations." 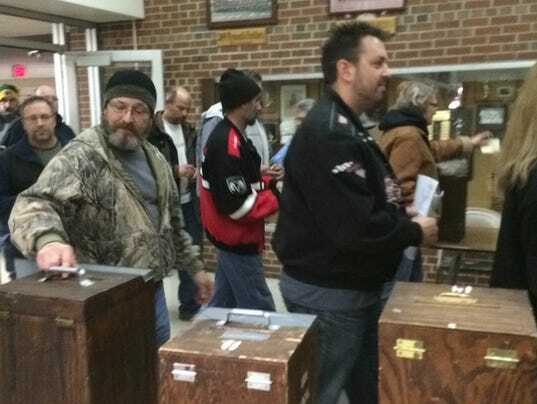 The ratification vote came after the two sides worked well into the night Tuesday to finalize a tentative agreement, which the union's bargaining committee urged members to ratify prior to Wednesday's vote. Tayloe said the nearly five-week impasse was broken by a mutual understanding by both sides that things "had gone on long enough." Following the vote, workers expressed relief that the dispute was coming to end. "I think everyone is pretty happy that we're all going back to work," said Howard Hinze, of Sheboygan, who's worked at the company for 25 years. "We have families to support and we all have house payments and car payments, and everyone wanted to see this done before Christmas." The two sides began bargaining Oct. 5 but saw negotiations stall by mid-November, following what Kohler officials called their "last, best and final offer." The breakdown in talks prompted the union to wage its first strike against the company in 32 years and the fourth in the company's 142-year history. The strike, which began Nov. 15, idled production employees at factories in the village of Kohler and town of Mosel. The company makes bath and kitchen fixtures, small engines and generators and operates resort destinations. The two sides appeared far apart at the outset, with the UAW seeking to eliminate the two-tiered wage structure that the company argued was essential to keeping its manufacturing operations competitive. The union argued that the pay structure left new workers unable to earn a living wage and paid significantly less than co-workers performing similar work. The union also took issue with rising insurance costs proposed by the company. As the dispute dragged on, CEO David Kohler released an editorial warning that without the two-tier system, local manufacturing jobs would likely disappear as the company's local manufacturing operation is its most costly among 13 sites in the U.S. and 48 around the world. That echoed similar claims made by then-CEO Herbert V. Kohler back in 2010, before the two-tier system was agreed upon by UAW members despite the urgings of union leadership to reject it. This time around though, union members said that times had changed following the worst economic recession since the Great Depression, and they deserved a fair contract that reflected the company's ongoing success and an improving economy. "What they initially proposed was going to be putting people back into poverty," said Tom Steffen, of Sheboygan, who's worked in the foundry for almost 18 years. "We can't afford that. This is what we fought for." The labor dispute brought daily protests near Kohler property, which triggered traffic, parking and noise complaints at times. As the strike progressed, some union members crossed picket lines, prompting UAW leaders to circulate a "scab" list that grew to 22 names. However, the strike carried on without the ugly incidents that overshadowed past labor disputes at the company. With picketing continuing day and night near Kohler Co. property, the two sides finally returned to the bargaining table about two weeks ago and there were signs in recent days that the talks had gained momentum. In the end, the strike eclipsed the 1983 dispute, which lasted just over two weeks, but was far shorter than the 1934 and 1954 strikes, which stretched on for years. Bob Meulbroek, of Sheboygan, who's worked at Kohler for 43 years, said he was proud of what the union had achieved. "I think it's the fairest contract we could get," he said. "It's for the future employees that are coming up. They need to make a living wage."